I've been holding onto a stamp set for a while now, just waiting for the perfect opportunity. Well, this week's Tic Tac Toe Challenge is what I've been waiting for! You KNOW you have these elements in your stash, and they're just waiting for this TTTC board -- now pull them out and get craftin'! I used the top row: Polka Dots, Birthday, and Friend. 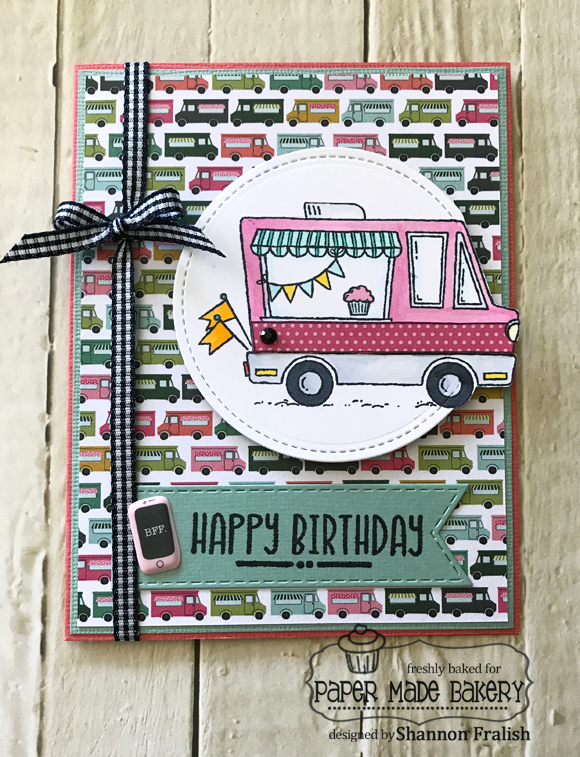 The adorable food truck image is from Stampin' Up!, from last winter's Sale-A-Bration catalog. The set is called Tasty Trucks and it's filled with cute little images to accompany the truck. Now, you know I'm sort of in love with the Girl Squad line from Pebbles -- so the stars aligned because that paper pad includes a collage of tiny food trucks! 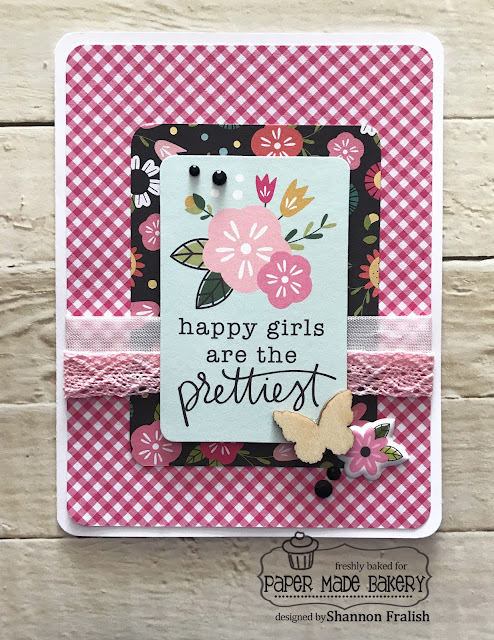 I was inspired by a sample in the catalog and tried the partial die cutting technique after watching a video by Jennifer McGuire. 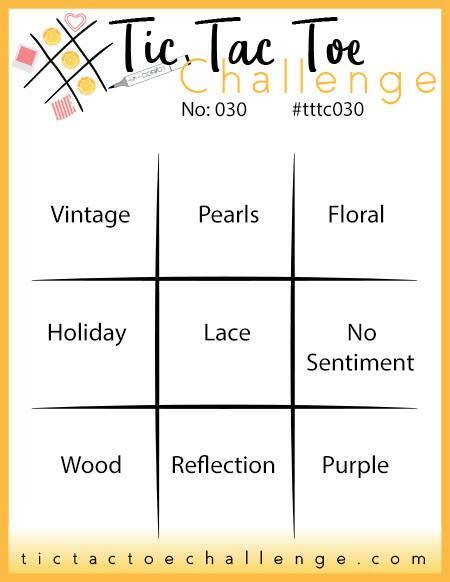 Give this week's Tic Tac Toe Challenge inspiration board a try and create a fun card using one of the rows, as you would the game Tic Tac Toe. Take a quick photo and post it on your blog, Pinterest, etc., then link it on this week's TTTC blog post. We'd love to drop by and check it out!